The country was the king of stocks in 1989, with 32 of the world’s 50 largest listed companies. It hasn’t fully recovered since the crash; only Toyota is left today. Japanese incomes, though, are growing as fast as in any developed economy. For that, market caps hardly matter. 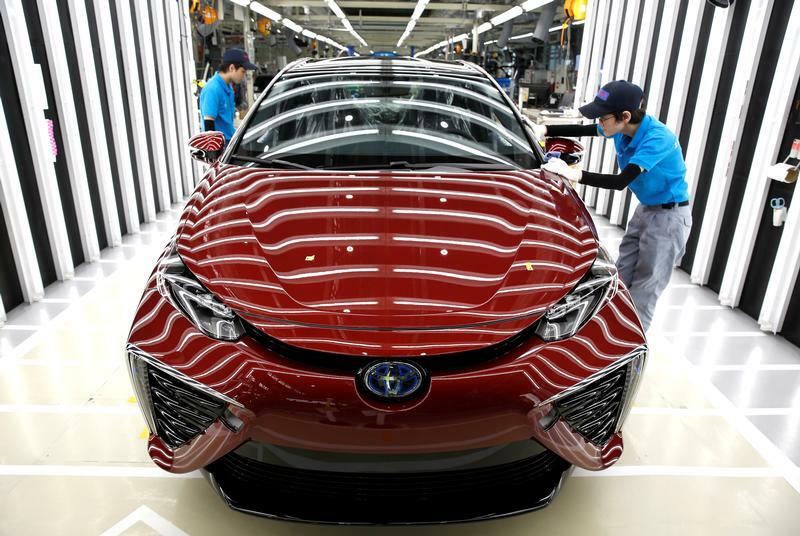 Employees of Toyota Motor Corp. work on the assembly line of Mirai fuel cell vehicle (FCV) at the company's Motomachi plant in Toyota, Aichi prefecture, Japan, May 17, 2018. Picture taken May 17, 2018.